Posted on 9, August 2016 by EuropaWire PR Editors | This entry was posted in Energy, Gas & Oil, Management, United Kingdom and tagged Hugh Aitken, Lesley Avinou, personality top attributes, Scottish business leaders, Scottish Gas research, soft skills. Bookmark the permalink. EDINBURGH, 09-Aug-2016 — /EuropaWire/ — As millions of young people across Scotland await their exam results and prepare to enter the world of work, new research from Scottish Gas has highlighted that soft skills and personality are top attributes the majority of Scottish business leaders look for when hiring. Three in five bosses surveyed in Scotland look for volunteering experience as evidence of these skills and almost all (92%) say a business can get great results from employees who have volunteered. Almost half of employers in Scotland say they have turned down candidates because they lacked soft skills and personality. Employers are also scouring the internet to get clues on a candidate’s social skills. More than a quarter (26%) say they look at a candidate’s social media profile to gauge their personality before meeting them in person. Despite this, almost half of young people admit their social profile online is not ‘potential employer-ready’. In Scotland, three in five 16-25 year-olds think businesses only care about academic grades when hiring. However eight in ten employers say candidates should focus on soft skills just as much as their grades. Despite soft skills and volunteering being top priorities for employers, four in ten young people have never volunteered, and more than a quarter do not believe that it will help them get a job. Almost a third (31%) admit to being too busy concentrating on exams to make time for volunteering. Hugh Aitken, CBI Scotland Director, said: “The value that individuals with well-honed soft skills bring to a business is indisputable. As this research and our own indicates, business leaders are very clear about wanting to hire people with the right behaviours and attitude. Eight in ten business leaders in Scotland say their company should invest more in offering volunteering opportunities to employees, as they believe it would have a positive impact on the company. This is borne out among candidates: almost a fifth of young people in Scotland say they actively look for volunteering opportunities when choosing a business they would like to work for. 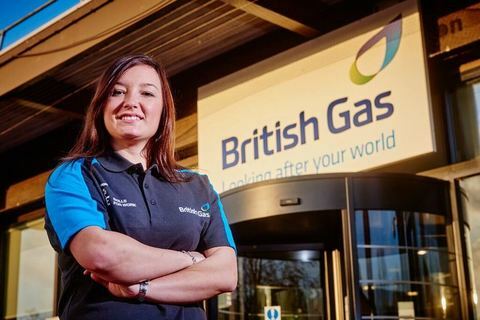 Lesley Avinou, Head of Customer Service at Scottish Gas, commented: “Whilst good exam results can boost opportunities for young people, our survey highlights that employers are also looking for evidence of soft skills and personality before making a final decision on whom to hire. Scottish Gas also supports each of its employees to take two days paid volunteering leave in work time. Employees are encouraged to make a difference in their local community by not only sharing their time, but their expert skills as well. Last year, around 930 Scottish Gas people gave almost 10,500 hours of volunteering time to support good causes across Scotland. When interviewing new employees, Scottish Gas asks candidates about their volunteering experience, to give them the opportunity to demonstrate skills they may have developed as a result. Scottish Gas enables all employees to cultivate leadership skills and develop experience of social action outside of work, by providing two paid days each year for volunteering. The company has a partnership with The Duke of Edinburgh’s Award (DofE) which is currently in its tenth year and has helped 2,200 apprentices complete their Gold Award. Achieving a DofE Award allows apprentices to add a significant amount of experience onto their CVs beyond their formal apprenticeship training. Research conducted by Atomik Research with 1,750 business decision makers and 2,000 young people aged 16-25 across the UK from 15th – 29th June 2016.